Unlike most builders, we use steel “I” beams for all of our girders and engineered wood “I” beam joists for all of our floor systems. This system helps to eliminate floor squeaks and gives you a more consistent, stable floor that is much less susceptible to settlement problems. We also incorporate engineered wood lumber beams in as many places as possible in order to maintain structural integrity & consistency. Now that we have created a solid structure, we need to make it perform efficiently and comfortably. We start by “sealing up” the house in order to minimize air infiltration and eliminate the “drafty” feeling that plagues so many homes. This is accomplished by caulking all cracks, joints, and seams in the framing and then using a “blown-in” cellulose wall spray insulation. This product is much more dense than standard fiberglass batt insulation and is able to tightly seal around all pipes, wiring and penetrations. We also concentrate on sealing all of the HVAC lines in the house. It is not uncommon for a standard home to have as much as 30% duct leakage. This would essentially turn a 90% furnace into a 63% furnace. Our systems are required to be around 3% or less. When our homes are complete, we use both a blower door test to check the amount of leakage in the house, and a duct blaster test to confirm that the ducts are within our stringent specifications. Next comes the fun part, developing and installing creative trim work. 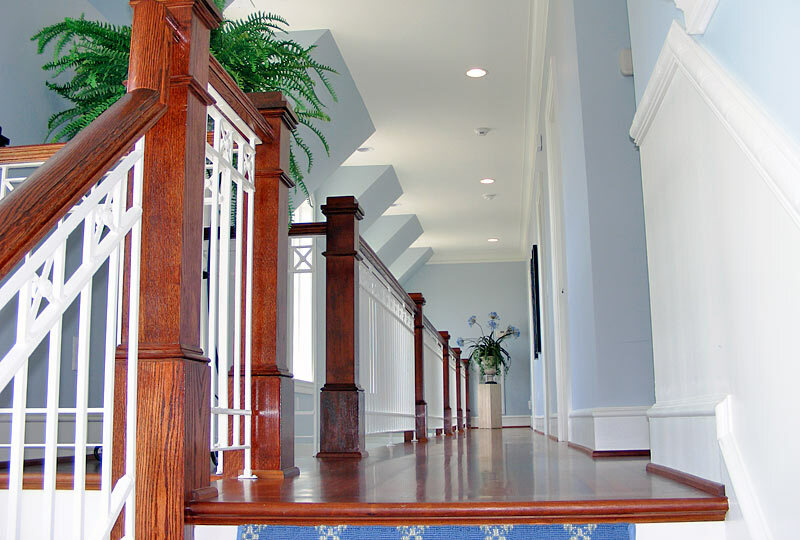 We have assembled an in-house crew of master trim carpenters that are incredibly talented. Each one of our trim carpenters takes great pride in the finished product. Their capabilities are limited only by your imagination. We do try to suggest unique features in all of our homes; but ultimately, we look to you our client to “push the envelope” in creating/requesting us to create such unique features. Another specialty of our homes is the trim used in our closets. Each closet that we build is customized for our client. You will not find the same level of detail or quality in any other home. 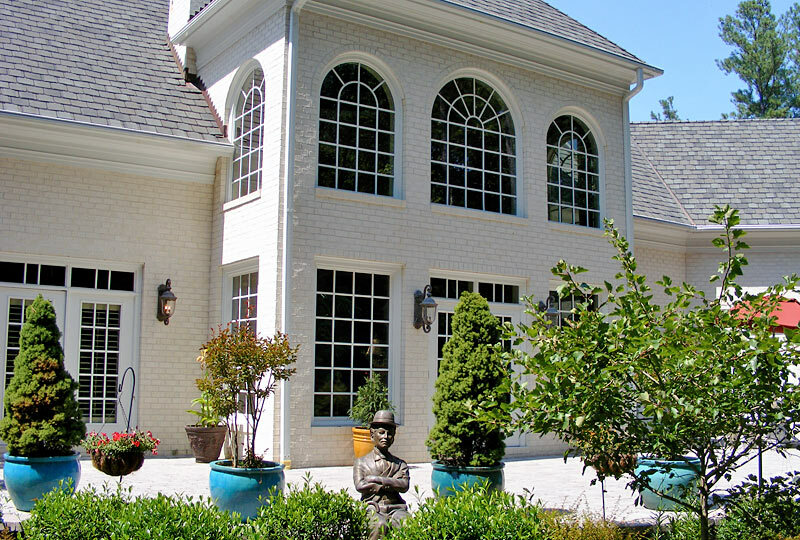 Delivering a beautiful home to our clients is only the beginning of our job. We realize that in building a new home there are bound to be parts or products that break down and cause problems. It is our job to take care of these issues. We treat our past clients like family and enjoy maintaining an ongoing relationship with all of them. We feel it is imperative that each of our clients realize that we can be counted on (reliability) when a problem arises and that our work, all of it, is guaranteed over and above the typical industry standards.